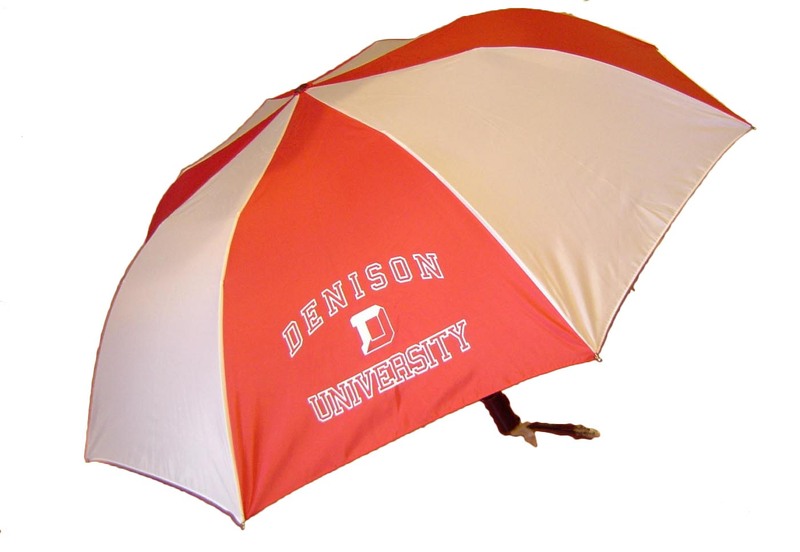 "13 inch Red and White umbrella featuring Denison Logo. Perfect travel size. Getting caught in the rain might not be so bad anymore with this Denison University Umbrella. This travel-sized umbrella provides a 13 rain cover radius. It comes in red/white and features the Denison University D and the words Denison University. Go Big Red! "